Majestic seo is the new metric that has just recently added to the Majestic SEO Tool, which serves as a measurement for the trustworthiness of your web pages. A web page is considered trustworthy based on the number of trustworthy websites that link to that web page. The more trustworthy websites that link to a certain web page, the more it will be considered trustworthy. The Majestic seo tool is the tool to measure the strength of trustworthiness of each of your pages. 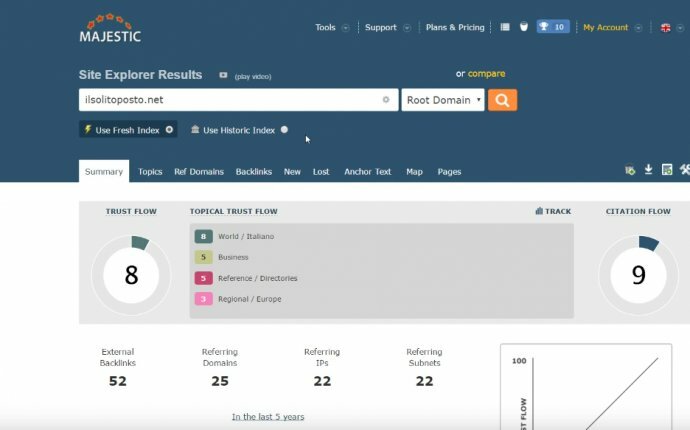 The Majestic SEO Tool includes not only the new Majestic Trust Flow tool, but it also includes the TF CF Checker in one graphic. The TF CF Checker stands for the Trust Flow and Citation Flow Checker tools that will give you the important data about your web page or URL, and present it in one graphic. Whereas the Trust Flow Checker is the tool to be used to check the trustworthiness of a web page by measuring how many trustworthy websites that link to it, the Citation Flow Checker is the tool that is used to check the strength your URL influence based on the number of sites that are linked to it. The Trust Flow is represented by the vertical line within the graphic, while the Citation Flow is represented by the horizontal line within the graphic. Over many years, SEO was purely dependent on quantity of backlinks associated with any websites. That's how Google also worked. However, due to various loopholes and fake websites gained their entrance into internet server, Google was forced to check on quality of backlinks. In this period, Magestic SEO had come up with two new parameters for checking backlinks' quality including Trust Flow and Topical Flow. With wide advancements in new versions of Google including Penguins, Panda and several other updates, Google created more strict guidelines for SEO protocols to have good website ranking system. Trust Flow is actually a tool used for measuring how safe is your website to be trusted. When more untrusted backlinks are connected to your website from neighboring domains, what is the use of them? Earlier the criterion of SEO was to count on number of backlinks. However now SEO guideline was made strict in checking on trustworthy of backlinks too; therefore, it is necessary to have trusted backlinks. But how will you know which ones are trusted and which are untrusted backlinks? This differentiation is given by Trust Flow checker. The value you get when testing quality of your website through Trust Flow checker indicates quality level of backlinks of your website. Normally, the value would range from 0 to 100 where 0 is the least quality while 100 is the maximum quality. Considering Google as reference, it received 99 as value from Trust Flow checker tool. So, now it's your turn to find reliability and trustworthy of your website! We follow Magestic SEO's Trust Flow metrics; however, there are other metrics too available in the market namely, SEOMOZ and PageRank. Ideal difference between them is that MagesticSEO is always fresh updated with fresh matric index on daily basis while SEOMOZ updates on monthly basis and PageRank updates on regular interval of some months. As MagesticSEO is always updated with index on daily basis, we have more trusts on its metrics and so, we can deliver best service to all our clients too. We are too happy in giving our clients most updated one on daily basis. As we have most powerful Trust Flow Checker tool, it is easy for you to get instant ranking of your website from our tool. We also do provide blog of your niche for boosting value of your trust flow. Do book our service now to explore more in details! Tool Summary: You can check the Majestic Seo Tool of any URL with the Majestic Seo Tool. Usage Tips: Run this mass Majestic Seo Tool tool for all your website's page.